What I'm Looking Forward to in 2018! Happy Wednesday, friends! I hope all of you are having a great week so far and enjoying time with friends and family as we continue through the holidays! This is the last post of 2017! I honestly cannot believe that I've been blogging for almost two years now about Disney and you guys keep reading what I have to say. I am always so thankful for each and every one of you who click on my posts each week and come along on this journey with me. Today I want to share with you guys the things I'm most looking forward to in 2018. I was at the grand opening of Pandora: The World of Avatar this year and that day I decided I was going to be at the grand openings of Toy Story Land and Star Wars: Galaxy's Edge. Summer 2018 Toy Story Land is set to open and I cannot wait! It's going to be so much fun and I'm getting my whole grand opening squad together for a massive party in Andy's backyard with Woody, Buzz and the gang. I did my first half marathon at Walt Disney World in 2014. After that I said I would never do one again. I was miserable after it. I couldn't even take off my own shoes when I got back to my room. Well before runDisney canceled all of the Disneyland events over the summer, I already signed up for the Star Wars- Dark Side Half Marathon thinking I would get Coast to Coast this year. So here I am no Coast to Coast but still signed up for a half marathon. I'm definitely going to make the most of it, and I've actually started to get excited about it because it's Captain Phasma themed and she's my favorite Star Wars character. 2018 is the year I finally want to make it out to Disneyland. My mom and I have been saying for the past few years that we would go out to California but things kept happening and life just got in the way. But now it really seems like this might be the year! If you have any Disneyland tips leave them in the comments because I would love to hear them! You guys know how much I love Instagram, and this year I was able to meet so many of the friends I've connected with on the internet at the parks. In 2018 I'm hoping to meet even more of the people I chat with on almost a daily basis on Instagram! Animal Kingdom has a HUGE milestone coming this year! 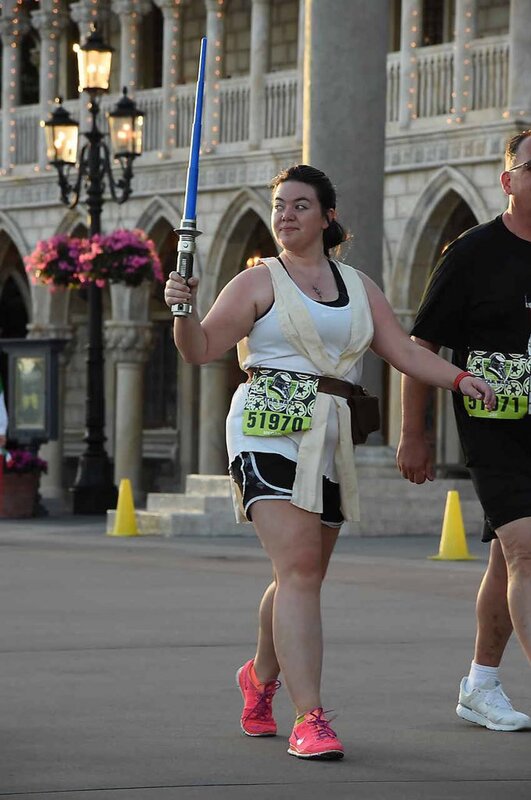 The park is celebrating it's 20th anniversary in April, and it happens to be the same weekend I'm running the Star Wars- Dark Side Half Marathon! While Animal Kingdom is not my favorite park, I have come to appreciate it more over 2017, and I can't wait to celebrate this wild place soon! Well friends, those are just some of the things I'm excited about in 2018! Let me know in the comments what you're looking forward to in the new year! Be sure to follow me on Instagram to keep up with all of my Disney adventures! The Newest runDisney Race in Our Galaxy is Here!